Does your father love tennis? 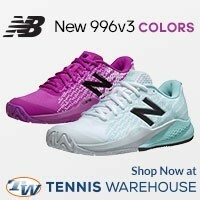 Are you a dad who loves tennis and need to drop some hints to your family for gift ideas because you really are the hardest person to shop for? Father’s Day is literally a handful of days away and now is the time to do that last minute shopping. 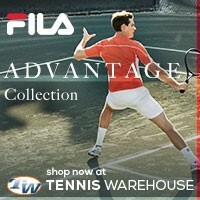 I’ve hand picked a few items for a Father’s Day Tennis Gift Guide, all of these gifts are great! Wilson Ultra 100 – This tennis racquet is the latest model to come from Wilson Tennis. The 100 square inch racquet will forgive your father’s off centered shots while maintaining good power and spin. Babolat Pure Aero – Is your father a spin freak? Does he love Rafael Nadal? If so, then the Babolat Pure Aero is the right option to gift your father this year. The Pure Aero is a nice tennis racquet for all level players, it offers amazing spin as well as being stylish with it’s neon yellow and matte black paint. Yonex EZONE DR 100 – Yonex has been a staple of tennis for many decades and has gained a lot of popularity over the last couple of years. With Stan Wawrinka winning the Australian Open and the French Open with a Yonex; as well as the “bad boy” of tennis Nick Kyrgios playing with a Yonex, the brand has entered as one of the top tennis racquets to play with in 2016. The EZONE DR 100 is a great option for your father to play his best tennis. A very comfortable offering with great spin and feel. 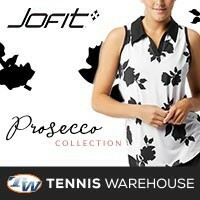 This is a great option for longevity as Yonex are incredibly well made. You can also check out the rest of the Yonex line of tennis racquets HERE if you are not sure this is the right one. Nike Zoom Vapor 9.5 Tour – The tennis shoe of the greatest tennis player to ever grace a tennis court Roger Federer. This Nike tennis shoe fits great and looks even better! Asics Gel Resolution 6 – Asics has really put themselves on the map with quality tennis players like Steve Johnson, Gael Monfils, David Goffin, and Vasek Pospisil. The Gel Resolution 6 tennis shoe is a great option for the father that values their feet. 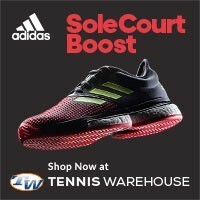 Adidas 2016 Barricade BOOST – A new tennis shoe from Adidas, the Boost technology has made its way into Adidas tennis footwear line in the Barricade 2016 Boost. Boost capsules have been inserted under the heel, giving you explosive energy return with each step and cushioning that won’t break down over time. Sony Smart Tennis Sensor – This really neat little tennis gadget will track all of your father’s tennis performance data! Yep, it tracks your dads’ shot types, ball speed, spin, swing speed and more! All of this in a small unit that attached to the bottom of the racquet handle and connects to your dads’ smart phone via bluetooth! The Sony Smart Tennis Sensor stores all of the data in an app where your father can reference his performance over time. An absolute must for the gadget loving tennis father! Tennis Bags – Does your father carry his tennis equipment in an old duffel bag? Are you embarrassed for him when he leaves to play tennis? Then why not give him the gift of storage? A tennis bag is an absolute must for tennis players, he’ll need a place for his tennis racquets, hydration, keys, wallet, phone, and even a extra pair of shoes! This is an affordable Father’s Day gift! Overgrips – Almost every tennis player I know uses an overgrip. The overgrip protects the original grip and can be easily changed on the court. There are many different types of overgrips, some tacky and some dry; overgrips come in an assortment of colors! The overgrip is a great choice as a Father’s Day gift, it’s simple and very useful!